Expat life means big changes. 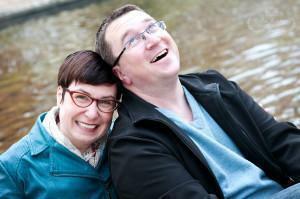 This week I had the pleasure of meeting a lovely new expat in Brussels. It reminded me of our early days here and all of the challenges we need to overcome as expats. As I was giving her some advice, for her new expat life, I thought it would be worth sharing this post again. It’s 5 years old, but all of the advice still holds true. Andrew and I have officially been expats in Belgium for one year. It has been a rollercoaster ride of ups and downs, but we are grateful for the experience. We had to learn how to adapt to life in Belgium the hard way. We’ve made some mistakes and there are a few things we wish we could have done differently. Overall, however, we wouldn’t trade this experience for anything. Because hindsight is 20/20, I would like to share 10 valuable suggestions, for successful expat life in Belgium and beyond. Learn to live in the moment. Expat life can be erratic. Plans often change from one day to the next. Going with the flow will reduce your stress level and allow you to actually enjoy some of the ride. Things here aren’t done the way they are at home – Get over it. If you want everything to be the same, don’t move abroad. You will always have to make “one more trip” to the commune and every person you talk to there will tell you a different story. Think of it as a scavenger hunt. Put up with paperwork. Complaining about it won’t help (trust me I’ve tried). Wine and chocolate help. Even if it’s sunny when you leave the house, stick an umbrella in your bag. It rarely rains when you are prepared. Learn as much of the local language as you can. If you plan to travel, learn at least a few important words in as many languages as possible (even if you know the locals will speak English). It’s tough but be brave. Remember most people here have learned, or are learning, other languages and they’ll understand if you’re making a genuine effort. Always try the local foods — they are specialties for a reason. Even if you don’t like them, you’ll have some great stories for the folks back home. Take advantage of Belgium’s multiculturalism. Make friends with Belgians, as well as expats from around the world. The new perspectives this will expose you to are fascinating (and could always lead to travel experiences with a local expert down the road). Get out and explore. Whether it is on the train, in the car, on a bike or by foot, Belgium is a country full of hidden surprises. You will never find them if you don’t go looking for them. Learn to look back on the bad stuff and laugh, or at least chalk it up to experience. Being an expat is hard and everyone has bad days. If you can look at things with a sense of humour and know it will get better, it can make all the difference. Network – Even if you aren’t a social butterfly, the best way to meet people is to join a club or go to some of the informal meet-ups in the city. Have a hobby? Do it with a group. Ask your embassy if they have meet-ups. Use some of the on-line resources like Brussels Expat Club and Facebook to find people in your area with similar interests. Travel! Just because you live in Belgium, doesn’t mean you’re stuck here. This is one of the best places in the world to travel from. If the Belgian weather is getting you down, hop on a cheap flight and find some sun. Don’t be too hard on yourself. Despite what the folks back home may think, you aren’t on holiday. Real life has ups and downs and this is intensified in expat life. Allow yourself to have bad days. Embrace them and do something that makes you feel good – read a book, watch a movie, call a friend back home, eat chocolate or even cry. Then get up the next day and move on. 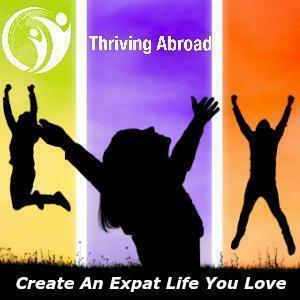 What are your tips for successful expat living? Let us know in the comments below.